creation | D.K. LeVick's "Writing in the Woods"
D.K. LeVick's "Writing in the Woods"
Scientists and Believers – Why is there a War? On the one hand are the science followers who believe in theories of time-based creation and evolution, ignoring basic foundations and the lack of supporting evidence. (In fact, there are two separate schools of science ‘religion’. One requires billions of years for things to occur, while the other requires only thousands.) Science argues with science and both argue with faith. On the other hand are the Bible fundalmentalists who insist upon a simple 7-day creation and ignore any legitimate evidence that challengenes their interpretation of it. And both sides ignore the facts of history in front of them. For example, as the world was emerging from the stone age, the Great Pyramids were already thousands of years old, constructed with a curvature that exactly matches the earth and laid out to duplicate the Milky Way 10,500 years ago. How was this done? Who did this? Who knew the world was round? It wouldn’t be proven until thousands of years later. Who knew about a Milky Way and why duplicate it in the desert? How were they built by primitive people to stand for thousands of years, when they can’t be duplicated with today’s technology and engineering? Is there a connection between them and our existence? They have no answers, but do these questions stop them? No. Both sides ignore these things, rationalize them away and continue to persist in their own dogmatic, preconceived beliefs, spending their energy on calling each other names. Uh -oh! Doesn’t it wrinkle the old parchment now when “very advanced” civilizations are discovered – beneath the layers of prehistoric civilizations! Whups – let’s just ignore that civilization. The conventional theories of science are problematic in that they offer wild theories and guesses without proof or logic. A ‘spark’ caused a ‘big bang’ to occur, somehow and at some time that in someway started everything in motion. No one knows when, how or from where that initial ‘spark’ came from and theories come and go like idols in Hollywood. Species evolved from nothing and then cross evolved somehow, although there is no evidence of this. There is no fossil evidence of evolution between species. Yet the world believes it without question. (Actually, new findings tend to disprove cross-species evolution.) The proof of ‘macro-evolution’ is not forthcoming. The proof of evolution is ‘micro-evolution’ – changes within a species – and that’s adaptation. As new discoveries are made and new facts come to light, the timelines get re-juggled and fossil histories are rearranged to fit into the already preconceived ideas and theories. On one hand, there is much evidence of the universe being millions or even billions of years old, even given the flaws and distortions of carbon dating methods. But religious fundamentalists refuse to consider this and only generate discord, dissent with a spew of useless words defending their position and condemning the person presenting. On the other hand there is no true evidence of life being that old, only of it being thousands of years old – a mere flicker in the hands of time. There is massive amounts of evidence to show early forms of ‘humanoid’ type of beings on earth, that predate 7000 years and the Biblical story of Adam and Eve. How is this reconciled? Biblical accounts themselves, leave open the idea and possibilities of other ‘people’ existing at the time of Adam and Eve. For example, Who did Cain marry? And who was Cain ‘fearful’ of? Who were the people of ‘Nod’? Rather than take an open and honest look at these things, fundamentalists dig in and conjure up a web of fantasy. Are the ‘experts’ on either side, willing to step out of their strongholds and look at evidence openly and objectively? Apparently, not. Bible ‘scholars’ and scientists alike, are too busy defending their paradigms and calling one another names, rather than attempting to piece the puzzle together. Both sides create their own puzzles and if a piece is in the wrong place – they’ll force it in and defend it to the death! But, is science and the Bible really irreconcilable? Or could (should ?) there be agreement? If the Bible is the account of creation and God, and science is the understanding of creation – then shouldn’t science confirm and support the Biblical accounts? When Bible scholars ignore science, they become entrenched in their stories they speculate and go to ridiculous extremes to rationalize their faith and claims. They make science the enemy and turn the Bible into mythology. When science tries to answer the questions without including God, then it becomes derogatory and condescending and becomes a religion of its own worshipping its own theories. It generates speculation – turns the speculation into theory and then worships its own theories. It makes religion the enemy and speculation becomes faith. There should be no “enemy”. We must always keep two things in mind. First: Science does not determine whether the Bible is true or not true. The “latest” word in science has never been the “last” word in science. The newest discovery or breakthrough, no matter how earth shattering will itself be refuted, revised or rejected when the next discovery or breakthrough comes out that “blows our mind”. The thing that science does the best is to correct, disprove, and replace existing misunderstanding and misconceptions while generating new speculations. It’s good for disproving things but not very good at proving things. Over time, theories build upon theories and gradually a picture begins to form, but the picture is always fuzzy, distorted with many portions missing. Science is an ongoing, work in progress – it is not an end product. Theories change every year. Currently the “Big Bang”, the “Oscillating” and the “Steady State” theories are in vogue. Every few years someone new comes along and throws out some new idea. But they all have one thing in common – they don’t know what, how, when or where the original “spark” came from. 1. It cannot bridge the gulf between ‘nothing’ to ‘something’. 2. It cannot bridge the gulf between something and life. 3. It cannot bridge the gulf between life and humanity – self-conscious life with free will. 4. It cannot answer “Why”. Why is there life? Why did life begin? What’s the purpose of life? So, it takes the easy way out and states, “Well, that’s not the job of science, that’s religion’s job.” Then they attack religion. I beg to differ. Science is discovering and understanding the world and universe around us. Why and how that universe is there is precisely the goal of science and of humans. Second: The Bible is not a science book. It’s not written or designed to explain the how’s and when’s of everything. The Biblical account of creation is not a scientific thesis. It is not designed to explain creation to us – it’s designed to tell us the story of salvation. The problem with understanding the Bible is that we read it from a modern perspective with modern language, modern interpretations, modern understandings and modern scientific principles. But, is that the way it was written? Were those the understandings of the writer? What was the writer’s perspective? How did his language express that perspective? What was the writer’s purpose? All scripture is given by God – but are all translations? Are all interpretations? Of course not – we’ve watched them change down through the centuries and now there are over 50 different translations and we watch as different groups clinging to different translations as being the only “perfect” one over all the others. I believe to understand the creation account as given in Genesis – one must understand what it meant to the writer. To do that, one must research the original texts, how they were written, the language used, the time it was written and the purpose of the writings. I’m not sure we can do that, but Jewish scholars will be the most reliable sources. In general, Biblical creation is based on faith. In general, scientific theory is based on speculation. With the inability of science to prove its theories, science speculation is becoming increasingly based on faith. If we say that the initial “spark” of life or existence came from God, it’s ridiculed. But, is that any more mythical than the scientific theories of creation? Think that’s hard to believe and accept? Well then try believing and accepting that somehow, someway and at some time a live cell, a little amoeba (that no one knows where it came from or how it came to be in existence) crawled out of a sea (that no one knows where it came from or how it came to be) unto land (that no one knows where it came from or how it came to be) and transformed itself into a tadpole – into a bird – into a dinosaur – into a primate, into a human – all by the simple magic of ‘time‘, even though there is no proof or evidence of such changes ever occurring. And, of course, everything had to be just perfect for all this to happen, temperatures, air, water, nutrition, etc. and we don’t know where all that came from or how it’s controlled either; and of course they had to survive these changes, even though it’s impossible to exist without them; for all these things to have happened. But by saying the magic words “given enough time abbra cadabbra kazaam! anything can happen, let it be so!” And somehow it happened. That’s kind of out there, wouldn’t you say? I predict that, if the world lasts, it won’t be long before the theory of evolution will go the way of the dinosaur and all the current “experts” will be touting a new theory – one that they’ll all cling to as ‘gospel’, and one which will not include God. After all, that’s what the war is all about, isn’t it? You see, if we accept a creator, then we must accept an authority. That’s the part that really troubles men. …the universe came into existence billions of years ago. …but life (as we know it) only came into existence within the last 10000 years? …but it’s not the whole story? …but rather a second creation? What if there were two separate creations, one a long time ago and the other only a few thousand years ago – separated by millions or billions of years? The issue between science and Bible is not which story of creation is right – the issue is what did God want to tell us in the story of creation? What’s its purpose? Well – Light the torches…and stoke up the fires – let the witch burnings commence. …Trying to keep them running – wound up – on time – not stopping… seems like clocks and me… well…kinda like oil and water. It’s been an ongoing battle. One I don’t think I’ve ever won for more than a few minutes (hmm… with out having a working clock I’m not sure how long actually…). I tried the wind-up ones that I could never “wind-up” quite properly. They were always in need of winding or I was over-winding. Electric? Every time I had one of them and set it right – there’d be a power failure. Going digital didn’t help – I’d come home to a house full of flashing digits! Not only ‘clock – clocks’ – but television clocks – radio clocks – microwave oven clocks – dryer – washer clocks you know what I mean – you’ve been there. I don’t know about you, but personally, I don’t like wristwatches – they always seemed confining and heavy (I know, I know – they only weigh a couple of ounces, but when you don’t want or like something – doesn’t it always get heavier and heavier?) They have those tiny little knurled knobs to pull out and spin around in your fingers making the hour and minute hands dance across the face (I always have trouble with those little knobs. They seem to get lost in my fat fingers all the time.) The digital ones weren’t any better – I don’t know about you but I need a pin to push those little buttons!) I use a watch that clips onto my pants. Yeah – same knurled knobs – but bigger. Have a hard time keeping them – I think my Dry Cleaner has a collection of them. Anyway – trying to keep one working – and staying within +/- 24 hours of actual time – has been a losing battle for me. You ever see one of this things? There is a battery – but it’s charged by solar power – and there are no adjustment knobs – only one switch (a big one too!) on the back, that says “ON” and “OFF”. Hey I like this already! Well – getting it home, I flipped that switch to “ON” and hung it on the wall. WOW! It was something to watch (pun intended). At first it didn’t do anything. Then it moved around in a half circle – stopped – moved backwards a quarter circle – then stopped again. I shrugged my shoulders and began walking away thinking “yeah, just like all the rest”, when I heard a whirring sound and turned back. The minute hand was moving around the face of the clock – fast – then faster and faster. The hour hand followed trying to catch up. The darn thing is demon possessed! The giant, solar-powered computer in the sky was keeping it on track! I went around the house and set every clock to it. “Okay, so what?” you say? Well, I got to thinking – it’s kinda like me, isn’t it? I try to keep myself powered up and adjusted to the place I think I should be, and I either ‘forget to wind’ myself, ‘overwind‘ myself, can’t manage those little knobs and buttons of my life and personality and end up broken. Inaccurate – stalled – or experiencing a power failure, ending out of control, flashing mindlessly and useless to anyone needing me! I found that I’m not good at being my own power source – can’t really wind my own controls or set myself. But, by allowing the ‘solar-power’ in the sky to power me and to adjust me – spinning my hands around – clearing out all the inaccuracies in my heart and mind – until I’m powered up, accurate and running “like a clock”. The Master Clock is in control and I get the proper instruction and after spinning my gears round and round, I run precisely and perfectly. I just needed the right power source and the right master clock and I’m running in sync with life. Kinda feels cool to be in sync with the master clock – wouldn’t you think? Give it a try – you may like it. The glory and splendor of a tree is an awesome sight. You know what I’m saying. We’ve all been there, standing in awe, gazing up, marveling upon a tall, straight, full tree as it sways in the breeze, gently singing its soothing song of peace and goodness to the land. The creatures of the earth and birds of all sizes, designs and colors finding refuge in its thick, life-sustaining foliage. We look upon the Maple – the Beech – the Sycamore and the mighty Oak as they rise upwards – 60 – 80 – even a hundred feet towards the light, and we marvel at their strength and beauty. They stand firm and steady against the winds, rains and hails that batter them. Their roots go down deep into the ground, 20 -40 even 80 feet to anchor them securely to the earth, holding them tight against the storms of life. They stand alone – firmly and confidently. But, even with such strength and depth, sometimes, under the power of the assault, they bend and give – their roots slowly breaking apart from the earth and when the storm blows hard, even those deep roots cannot bear the strain and they pull up from the earth and a mighty tree falls, crashing to the ground in a loud, agonizing roar of despair. And the world groans. 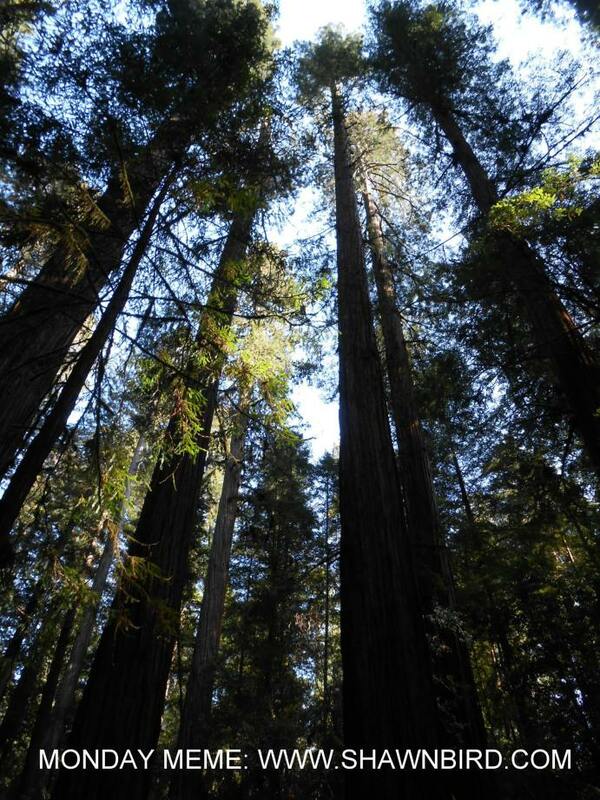 Towering above all other trees, straight and majestic, rise the Sequoia Redwoods. They stretch upwards, reaching high into the heavens. Not 80, not a 100, not even 200 feet, but over 300 feet they rise! Greater than the length of a football field! Imagine laying a single tree across the entire length of the Super Bowl and then raising it up to reach into the sky. Some reach into the heavens taller than the Statue of Liberty, exceeding heights of 375 feet. They obtain massive circumferences with diameters in excess of twenty feet; laden with heavy, coarse bark 20 inches thick that defies modern engineering by miraculously pumping over 250 gallons of water a day upwards into the heights to feed its rich foliage in the heavens. Not only are they the tallest trees in the world – they are the largest living things in the world, and they live for hundreds – even thousands of years. When the storms come, they are the first and the last to be battered. Rising above all those below, they receive the strongest attack – feel the harshest assault as the winds and gales toss and rip at their crowning heads, bending them to the power of their might. Smaller trees, far below, bend, crack, snap and break, pulling out from the earth, not able to withstand the rage and fury of the storm. When the storm subsides – the Redwood stands firm and proud, rejoicing in its glory. Why does this giant of the earth not succumb to the storm? How does it remain standing two – three – even four times taller than those that could not bear the storm’s fury? The answer can only lie in its roots – which must go deeper into the earth than all the other trees. Ah! There is a lesson for us here! In order to become strong we must reach deep into the earth, clinging hard to withstand the storms of this world. But – upon examination – we are in awe – we are dumbfounded – we are aghast! The roots only go into the earth four – five – six feet. They are shallow – This massive monster of nature, towering over 300 feet and weighting over 3,000,000 pounds – is anchored to the earth by a mere five feet! How can this be? It defies logic – physics – engineering – and life as we understand it. What is its secret to survival and majesty? So we look closer and we find the secret – it was there all along. The roots, although not deep, spread out hundreds of feet around the tree. They intertwine, tangle, knot and lock with the roots of the other trees around it, that are doing the same thing, until for miles it’s a single woven mat of thick, living roots. They support and hold one another firmly in place. If one weakens, the others grab and lock themselves around it to hold it and keep it upright. But there’s more. The roots actually begin fusing together, forming common roots that share, feed and give life to one another. Once established – the Redwood tree is not solitary – stand-alone but is part of a community – united – bound together – supporting and sustaining one another. Only internal decay within a tree can destroy it. I wonder – what would our world be like – if we were Redwoods? If there’s a watch – then there’s a watchmaker. I hear a lot about God these days. Seems everyone is talking about Him. Turn on the TV and it’s overflowing with preachers shouting to the world it’s God’s plan for them to be prosperous, wealthy and healthy. Of course – the “them” they’re referring to is ‘themselves’. Turn the channels and it’s full of all the ‘talking heads’ blaming God for all the evil, murders and wars in the world. Turn it again and it’s people crying out to God in despair from the disasters, suffering and sickness. Turn it once more it’s nations and peoples fighting and killing one another about whose God will reign. Scriptures are quoted – books are written – songs are sung and prayers are spoken. Learned men say there is no God. Others say this one is God or that one is God. Still others proclaim that you are God and I am God. Every Sunday the masses file into the churches – all kinds and types of masses filling all kinds of and types of churches. I’ve watched them for many decades now. Forty years ago they wore suits and dresses – today they wear jeans and tee shirts. They sing a few songs, check each other out, say a corporate prayer or two , listen to a sermon (mostly motivational pep talks) and head on back to their lives – the same as they came. Do they know anything more than all the ‘talking heads’? Do they know God? Are they any different than those who say there is no God? Is there such a thing as a “God believing Atheist”? If God is real – shouldn’t we know Him? Shouldn’t we feel Him? Shouldn’t our lives reflect knowing and feeling Him? Afterall – we’re talking about the creator of the universe! IF we should know Him – why is it that the world doesn’t? Why is there so much confusion about it? Why don’t we see Him? Or do we and we close our eyes to it? The beauty of the world is all around us. Is that God? No – the watch is not the watchmaker. …If there’s a watch – then there’s a watchmaker. Can we know the watchmaker? If we can see the watch – we can see the watchmaker. Why don’t more see the watchmaker? Because it’s scary. It makes one feel small and vulnerable. You see -to know the watchmaker – we must recognize that we are a part of the watch. Inside the watch – there’s a tiny space – a secret place – where we can see and know the watchmaker. Until we find that place – we remain on the outside of the watch- looking in – whether you’re a church goer or not. Knowing the watchmaker carries an accountability – to the watch. We must now perform our small assigned role within the complex mechanism of the watch to keep it running and working as the watchmaker designed. We can not longer live a self-centered life – but need to live a life of obedience to the watchmaker to keep the watch working smoothly without defect. Seeing and knowing the watchmaker is not a second-hand experience with some songs and pep talks. After all – why have a cup of water when you can dive in? If there’s a watch…then there’s a watchmaker…If there’s a watchmaker…the watch can know Him – if we choose to. That logic puts a devil (evil) on the same level as God (good), meaning there are actually two gods. Two forces, opposing one another. I find that logic flawed. I don’t see the world as two equal, but opposite forces, fighting over the earth. Rather, it looks more like a good force put everything in place and an evil force is attempting to undo it all. The good force is obviously stronger because the world remains beautiful and renews itself continuously. On the other hand, the existence of the evil force (a devil), proves there is a God. If only evil existed, then the world would not be as it is. It is too beautiful! Too wonderful for only evil to exist! Creation existing in it’s glory and fullness, could not happen if only evil existed in the world. Beyond the issue of where did all the beauty and wonder come from to start with, if only evil existed then all the beauty and good would have been swamped and overcome with ugliness and death long ago. The world continues to bring forth life and constantly renews itself. It’s man who seems bent on taking delight in killing himself. And we know there is evil (the devil) in the world. It’s all around us and everywhere we look. It’s more and more rampant and seems to be on an ever increasing tempo of self-destruction. Murder, human trafficking, drug addiction, crime, hatred, genocide – I could go on and on – you know the list as well as I do, all the way down to petty jealousy and malicious gossip. Again, it’s existence is proof of a God who is above evil and more powerful – because something is holding the evil in check. Without this restraining force, the world would have dissipated into a dark, mire of death long ago. One wonders what would happen if this restraining force were removed and evil was allowed to run unabated and unrestrained. Is there anyone in the world – who hasn’t heard of Niagara Falls? Well – I’m sure there is, in the deepest jungles of Africa and Brazil, and on the remote steppes of Mongolia and the grassy plains of the Yellow River – and on various desert islands across the oceans – there can be found lonely people wandering about who have never heard of Niagara Falls. But, everyone else walking on the face of the planet, has heard that somewhere, within North America, there exists a magnificent waterfall, called Niagara. 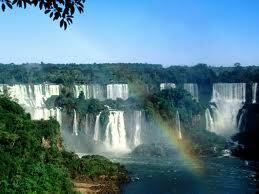 In fact, millions upon millions have seen it, standing in awe at its immense power and majesty. …but they are the most known and visited. The combination of height and volume separates Niagara from all the others and makes them the spectacular wonder that they are. 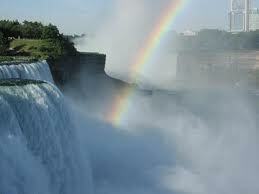 Over 28 million people visit Niagara’s waterfalls each year. Since 1825, the world’s leading statesmen, monarchs, authors, painters, scientists, politicians, celebrities, business leaders and people from all walks, colors and languages have journeyed to stand in awe of the majestic falls and hear them roar their song of glory. 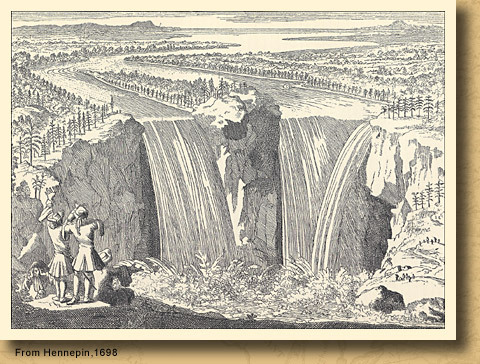 The Niagara River and Niagara Falls have been known outside of North America since the late 17th century, when Father Louis Hennepin, a French priest, at the request of King Louis XIV, accompanied the explorer La Salle, and first witnessed them in 1679. He wrote about his travels in ‘A New Discovery’ of a Vast Country in America (1688). While his painting of the Falls contained some exaggerations and distortions, it was widely circulated in Europe and became the icon of the “new world”. But, what are the Falls and from where do they draw their strength? Let’s take a journey down the Niagara River. The year was 1976, America was relishing in its Bicentennial anniversary of independence, and I found myself in a musty antique shop, browsing among the discarded treasures of generations gone by. There, in a small offshoot room, hanging on a crowded wall, suspended amongst pictures, tapestries, murals, and rick-rack, I spied an old picture. It was a Stereoview, taken around 1890 by the famous George Barker. Stereoviews were the rage around the turn of the century, consisting of two almost similar views of the same thing, mounted side-by-side, in one frame. When fitted into a special, wooden viewer and held up to your eyes, it created a single picture with a stereo effect to it. The picture on the wall was of the ice bridge of Niagara Falls. It fascinated me, both with the idea of the mighty Falls frozen completely over and hundreds of those old-time people walking around on it, and because it brought back memories of seeing a similar ice bridge myself when I was a kid, growing up in Western New York, in the ‘60’s. And then—the 60’s. It’s strange for me to think of the 60’s as nostalgia, but in fact they are. The 60’s were special years, creating a decade, unique and stand alone in our history. In 1961, the world feared atomic war and we built backyard bomb shelters and we had ‘A’ bomb drills hiding under school desks, while spewing the illusion of being at peace with ourselves and the world. We felt ‘everything had been done and invented’ and there was nothing left for us to do. Meanwhile, the decade was on the verge of being the most dynamic, world-changing decade history had ever seen. Communications, civil rights, technology, economics, drugs, assassinations, space travel, society values and wars all around the globe, exploded literally overnight, turning America, and the world, upside down. The 60’s came in with the ‘Twist’ and bobby socks and left with us with VietNam and a man on the moon, leaving us in shock and yearning for those years when we wore bomber hats, drank hot chocolate and our only wars were snowball fights. How much more inspiration would one need? A combination of a forbidden Niagara few people know about, coupled with the decade of the best and worse times in America. The ‘picture’ itself brought all this into focus for me, and I started writing. I wanted to write about people who felt their life was unimportant, and didn’t know where they fit in. A decade when America was at its prime and at its worse, when young people thought everything had been done and there was nothing left for them to do, yet, aside from the Revolutionary War era itself, was the most revolutionary decade in American history. Meanwhile, it’s no different from any other time, with people having the same needs, fears, joys and sorrows across the generations. All are ‘journeys’, traveling the same road, only in different times. That was 1976 and I wrote 12 typewritten pages, put it aside and continued my own ‘journey’. Fast forward 32 years and now it’s September 2008. I had just endured a personal loss and as a result was forced to sort out files of old papers. Buried among bill receipts, technical reports, letters and various doodlings, I came across 12 typewritten pages. They were yellowed, stained and crinkled when I held them. As I read them, I immediately grabbed a pen and began editing them. 350 pages later, ‘Bridges – a Tale of Niagara’ was conceived and a year later gave birth to ‘Journeys Across Niagara’. I give this child to you, with my wish that you enjoy reading it as much as I have in writing it. 2016 Half Marathon run for World Vision – donate!! For the Children! Click on image to donate - thank you! “I Believe – therefore I have Faith.” Hmmm. WAS JESUS REALLY THE ‘SON OF GOD’? The Spirit of Blondin Lives in Wallenda! WAS THERE REALLY A ‘HERMIT OF NIAGARA’? In 'Potatoes,' an old man revisits the site of an accident. 'Butterfly' explores the question: Is there life after the grave? 'The Man in the Painting' explores the question: Where does peace come from? © dk LeVick 2011. The content of this site is licensed under a Creative Commons Attribution-NonCommercial 3.0 Unported License. Unauthorized use and/or duplication of this material without express and written permission from this blog’s author and/or owner is strictly prohibited.